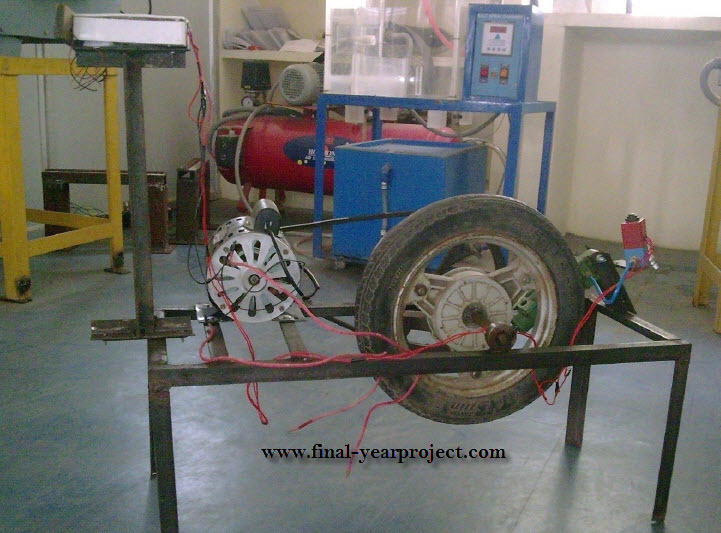 This is a good Mechanical project report on Intelligent Reverse Braking System and its aim is to design and develop a control system based on intelligent electronically controlled automotive braking system is called “intelligent reverse braking system”. Braking is nothing but bringing a moving vehicle or moving body to a stop and in automotive industry safety measure are taken for this. You can also Subscribe to FINAL YEAR PROJECT'S by Email for more such projects and seminar. The intelligent braking system is the next step to automation and in this system Vehicle brakes automatically when obstacle is near. In this system Sensor operated pneumatic brake consists of IR transmitter and Receiver circuit, Control Unit, Pneumatic breaking system. The IR sensor is used to detect the obstacle. 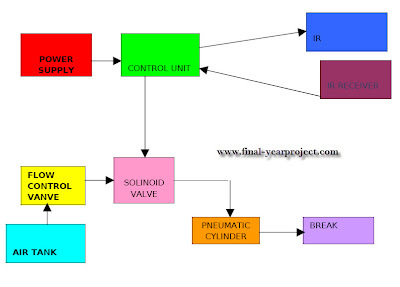 The report contains the block diagram, circuit diagram of intelligent reverse braking system along with layout. Use this Mech report for your reference work.